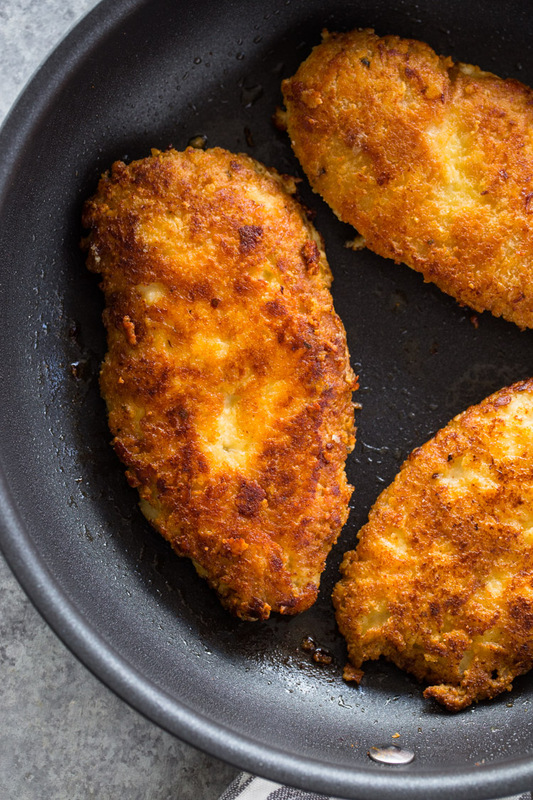 Light and Crispy on the outside and tender on the inside this parmesan crusted chicken is a must try! It’s made in under 10 minutes and is low-carb and keto at only 1 carb per serving!! Winner winner chicken dinner! This crispy parmesan chicken is a favorite in our home because of how crispy and flavorful it is. The kids love it on pasta and I enjoy it on a salad. It tastes like something you would order from a fine Italian restaurant without the expenses price tag. The secret to the delicious “Italian” flavor, crispy crust and gorgeous color is (obviously) parmesan cheese. The cheese adheres to the chicken and when melted in the pan, gives the chicken a beautiful golden and crispy crust that is to die for. Parmesan cheese: please skip the pre-grated dr parmesan (aka the sandy stuff) since that type of parmesan will not work as well with this recipe. It will yield a thin crust (similar to Italian breadcrumbs). 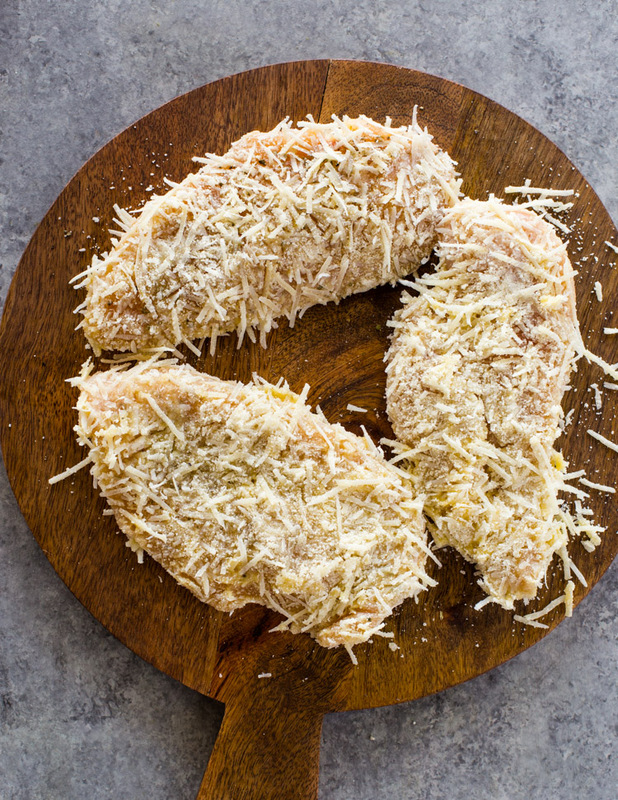 For this gorgeous golden crust, you will want to get your hands on some freshly grated parmesan or the store-bought kind that is grated into little strips (see photo above). Almond flour: Almond flour helps coat the chicken and cover any missed spots the parmesan didn’t cover. 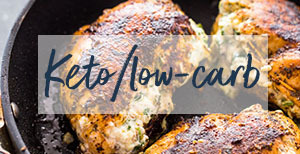 This is a low carb alternative and great if you are on the keto diet. 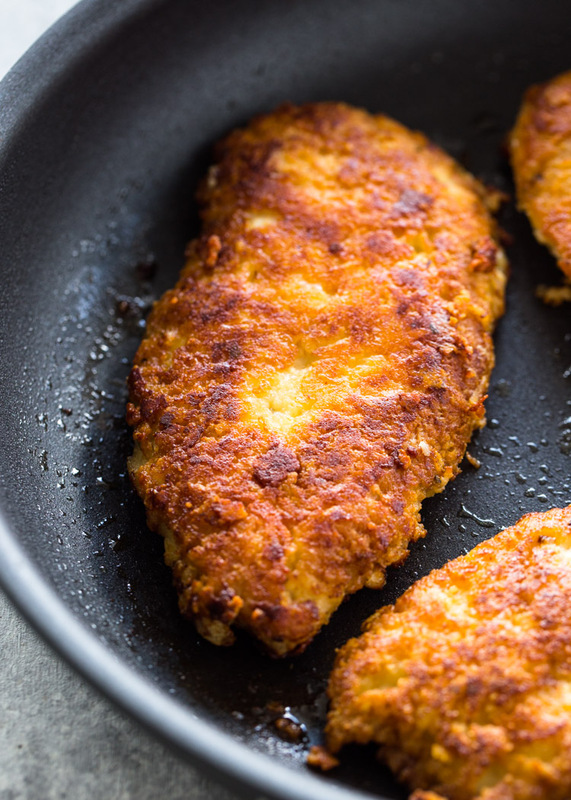 If you’d like a super crispy crust, opt-in for panko breadcrumbs (note, they are not low-carb). Chicken breasts: This recipe will not work with another cut of chicken as chicken breasts are flat and cook quickly. The chicken breasts are sliced in half horizontally to make them thinner and cook quickly. Slicing them in half also helps the parmesan and almond flour stick to the chicken. If the chicken breast is super thick, I’d go ahead and slice it into 3 slices if you can. Seasoning: This is where you can get really creative and make this recipe your own. Since this recipe has lots of parmesan cheese, I like to stick with Italian seasoning, garlic powder, and salt & pepper. A dash of red chili flakes is great too. 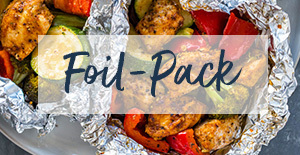 Adding a teaspoon Cajun, taco, or your favorite seasoning will also work! The next step is cooking the chicken. You can cook it in olive oil, butter or a mixture of both. 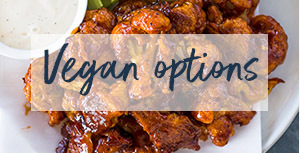 Alternatively, you can opt-in for your favorite type of oil for cooking. Since the chicken breasts are coated with parmesan, you will need a non-stick skillet. Please don’t skip this step because you will risk the chicken sticking to the pan. 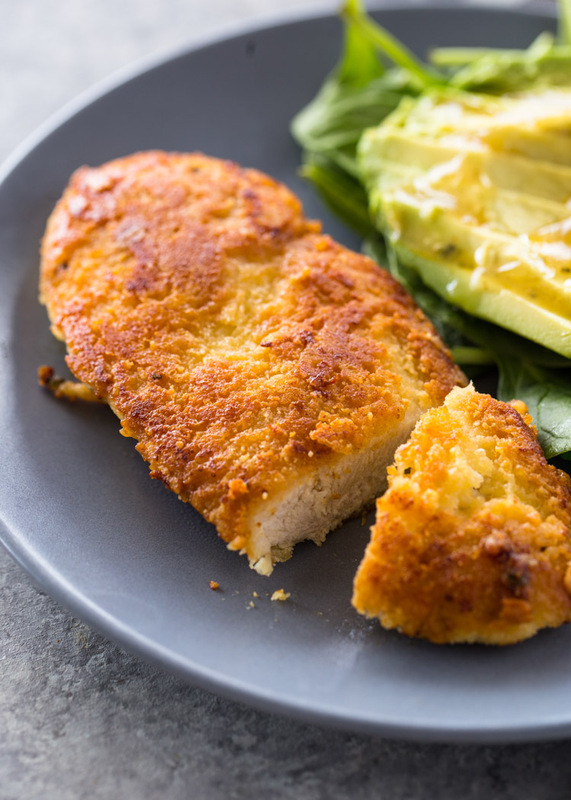 Light and Crispy on the outside and tender on the inside this parmesan crusted chicken is a must try! 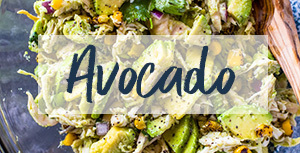 It's made with only 5 ingredients in under 10 minutes and is low-carb and keto!! Lay the chicken breasts out on a cutting board and cut in half horizontally. Generously season with Italian seasoning (or seasoning of choice), garlic powder, salt, and pepper; Set aside. Combine the parmesan cheese and almond flour in a medium shallow bowl. In another bowl, whisk the eggs. Dip the chicken breasts into the egg mixture then into the parmesan mixture. shake off the excess breading. 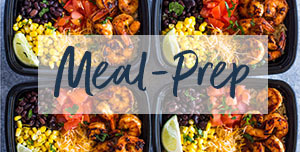 Repeat until all the chicken cutlets are covered. Heat oil or butter in a large NON-STICK heavy duty pan. 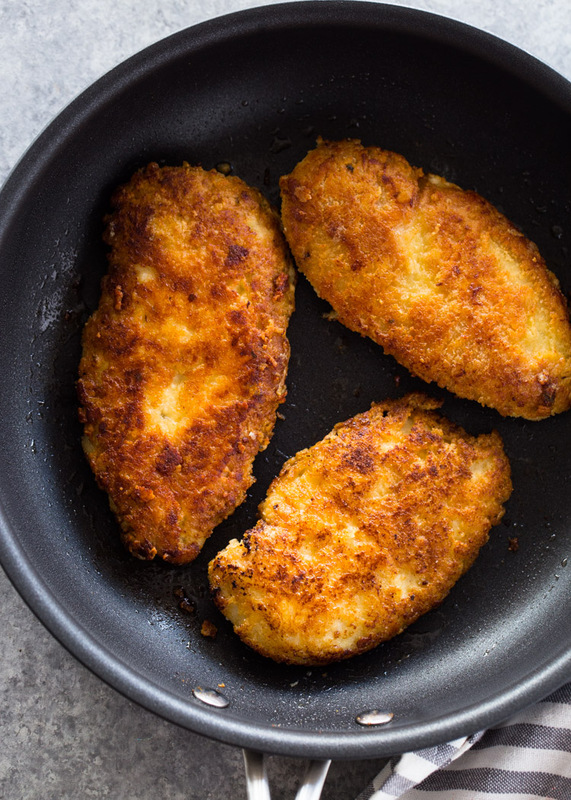 Add chicken cutlets in a single layer and cook for 5-6 minutes on each side, until golden and crispy. Be sure not to flip until the parmesan is golden on the first side or it will slide off. Repeat with remaining chicken cutlets. 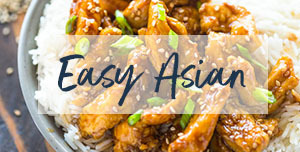 There are so so many ways you can serve this chicken and it all depends on your preference and the type of diet your on. 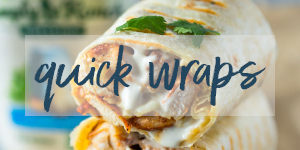 If you’re not on a low-carb diet: This chicken goes great in a melt, in a wrap, on mashed potatoes or rice. 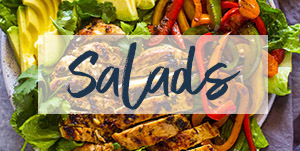 For keto/low-carb diets: Serve on a salad, with a side of cauliflower mash, steamed veggies, or with dipping sauces. Followed the recipe except I did Top the chicken with salsa and mozzarella And BRoilled.. AWESOME!! Definitely a keeper. this was amazing! Didn’t even use tHe almond flour. Served it wiTh bruschetta topping. So delish!! I’m going to use this recipe for chicken parm. Sauce and topped with mozzerella. Looks awesoSOME!! 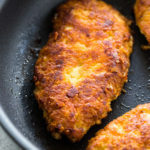 I am always looking for a good crispy chicken recipe so will have to give this a try – Lots of parm certainly won’t hurt:-). There is no unit of measurement FOR THE ALMOND FLOUR. IS IT 1/2 CUP?